Our facial procedures such as facelift, rhinoplasty, and facial implants enhance your natural beauty by reshaping contours, eliminating lines and wrinkles, and providing exceptional facial rejuvenation. Accentuate your curves with breast implants or a breast lift for a stunning figure. Our breast reduction procedures help both women and men when breast size is too generous. Our advanced liposuction, tummy tuck, and thigh and upper-arm lifts can contour your figure to make you look and feel better by giving you the proportions you desire. Using advanced laser techniques, our La Mesa cosmetic surgeon can smooth lines and wrinkles and perform laser hair removal. Other skin procedures such as skin peels, BOTOXÂ® Cosmetic, and dermal fillers offer exciting aesthetic enhancement. 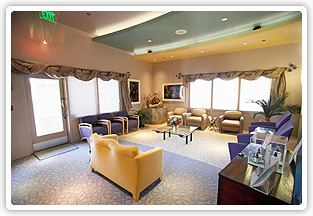 Dr. Wheeler is now practicing at La Jolla Cosmetic Surgery Centre. Call (858) 452-1981 today to schedule your consultation! Welcome to the cosmetic surgery practice of Ervin M. Wheeler, M.D., F.A.C.S.. Firmly dedicated to surgical excellence, Dr. Wheeler provides safe, natural-looking, and aesthetically pleasing face and body enhancement at his state-of-the-art Aesthetic Plastic Surgery Center in La Mesa. Cosmetic surgeon Ervin Wheeler, M.D., F.A.C.S. offers San Diego County residents a full range of excellent procedures for creating a more youthful, healthy, and attractive appearance. Facial plastic surgery can remedy the effects of age and environment and enhance the beauty of facial features. Exceptional breast procedures can augment or reduce the size of the breasts to make them proportionate to the ideal you seek. 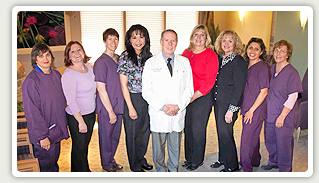 With advanced body contouring procedures, cosmetic surgeon Ervin Wheeler, M.D., F.A.C.S. can sculpt the body and eliminate resistant fat. Using sophisticated skin care procedures, he can erase blemishes and fine lines and eliminate unwanted hair, and with BOTOXÂ® Cosmetic and dermal fillers he can smooth lines and enhance the contours of your face. La Mesa cosmetic surgeon Ervin Wheeler, M.D., F.A.C.S. invites all San Diego County residents who have considered plastic surgery to schedule a private consultation for personalized guidance in attaining every cosmetic ideal. Deciding on a cosmetic surgeon to help you achieve your aesthetic goals should come only after careful consideration of the surgeon's training and experience so that you safely attain the results you desire. When you choose La Mesa cosmetic surgeon Ervin S. Wheeler, M.D., F.A.C.S. you choose an exceptional surgeon who is dedicated to excellence. 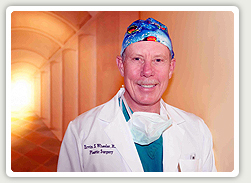 Dr. Wheeler has served San Diego County and California patients for more than 25 years. His extensive training and experience in general and cosmetic surgery form the solid background of his exceptional skills. So impressive is the work of our La Mesa cosmetic surgeon that San Diego Magazine voted him "Top Plastic Surgeon" in 2005. Serving all San Diego, our plastic surgery practice offers outstanding procedures that provide exceptional results. Contact La Mesa's Aesthetic Plastic Surgery Center today to schedule a consultation with Dr. Ervin Wheeler. La Mesa cosmetic surgeon Ervin Wheeler, M.D., F.A.C.S. regularly receives letters and words of thanks from his patients for his exceptional skills and warm, personal care. On our Testimonials page, patients from all walks of life express their gratitude and satisfaction with the extraordinary care and outstanding results they receive at the Aesthetic Plastic Surgery Center. Picturing in the mind's eye how a cosmetic procedure will benefit your appearance can be difficult. We provide before-and-after photographs of actual patients so that you can see the superb enhancements our highly skilled La Mesa cosmetic surgeon provides his patients. We encourage you to browse our website to learn more about the cosmetic options we offer. Then visit our Gallery to view some of the excellent results our patients achieve at the Aesthetic Plastic Surgery Center.